Q Pootle 5: The Great Space Race And Other Adventures! 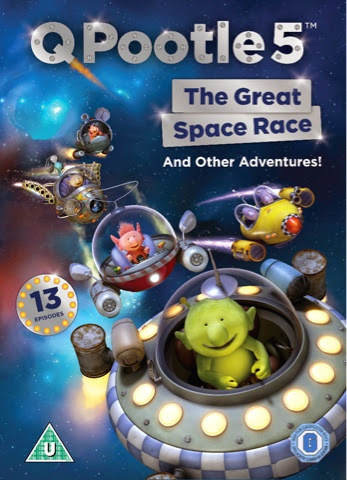 released on the 6th October 2014 includes 13 fantastic episodes such as ‘The Great Space Race’, ‘The Singing Valley’, ‘Hitting The High Note’ and ‘Runaway Rocket’. Fans, young and old, can also sing along with ‘Okidoki Karaoke’ and discover how the series was created with interviews with the cast and crew of the show. Q Pootle 5 is based on the best-selling books by the hugely popular children’s author and illustrator Nick Butterworth. 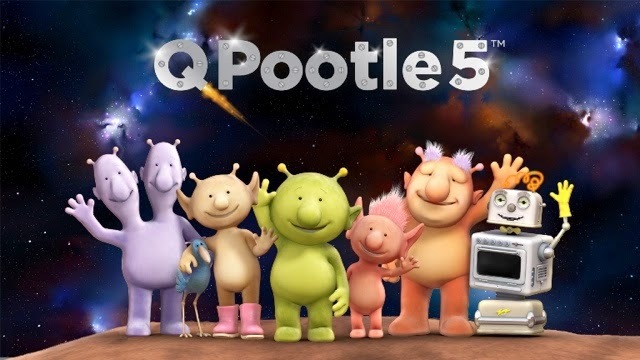 The series follows the adventures of Q Pootle 5 and his friends Oopsy, Eddi, Stella, Ray, Groobie, Bud-D and Planet Dave as they tackle the everyday problems of the final frontier.